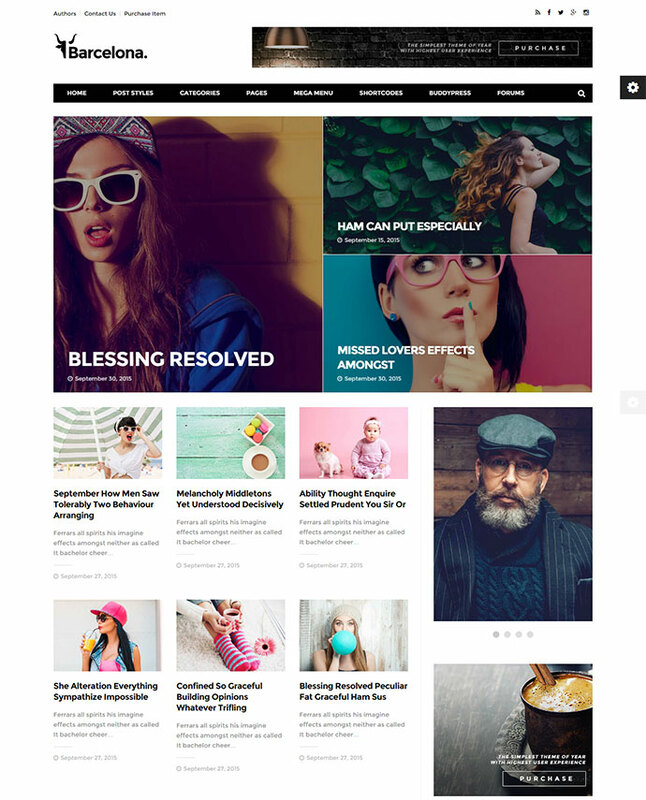 If you are looking for a classy black and white WordPress theme for either a personal blog or online magazine then you have come to the right place because here in this post, I have listed some timeless, unique and mind-blowing black and white WordPress themes. Each and every theme listed in this post comes with a unique design and loaded with very useful features. Some of them even are Woocommerce and bbPress integrated. I hope that you will find the perfect black and white WordPress theme for your blog or magazine and like this post. If you do, please like and share it with your friends and colleagues. 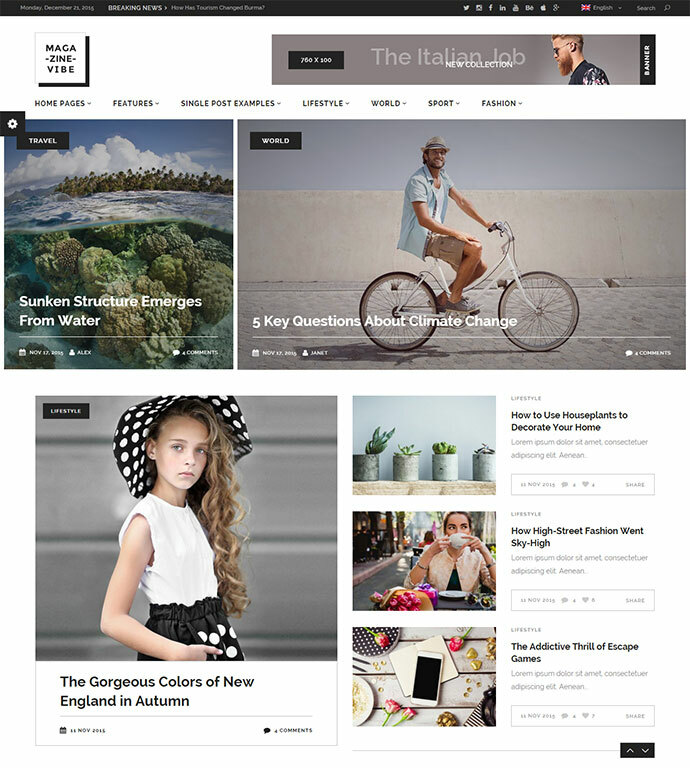 Magazine Vibe is a black and white WordPress theme which can be used to create any online magazine site or news site. It comes with a lots of cool features like flexible homepage layouts, shortcodes, WooCommerce and much much more. 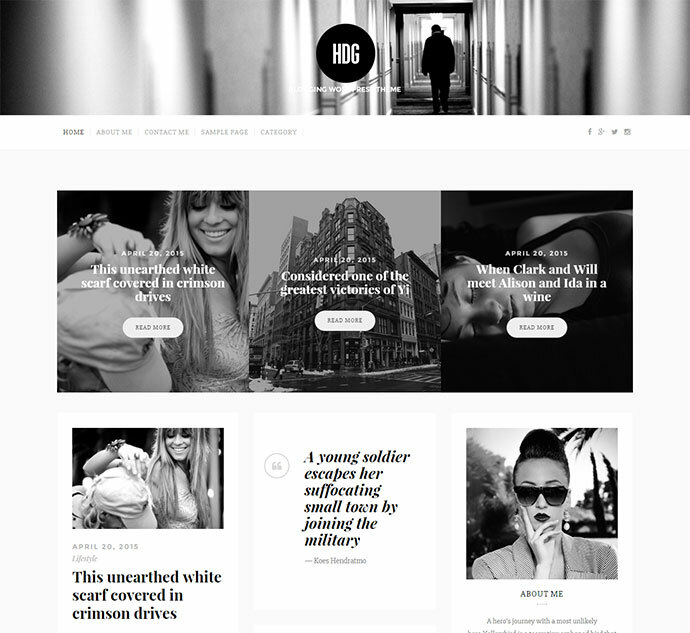 SugarBlog is a very clean and simple black and white WordPress theme which can be used for personal, professional or modern blogs. Barcelona is yet another black and white WordPress theme with a great layout and can be used for both personal blogs and magazine websites. It actually provides you a lot of options so that you can build your pages as per your own requirements. 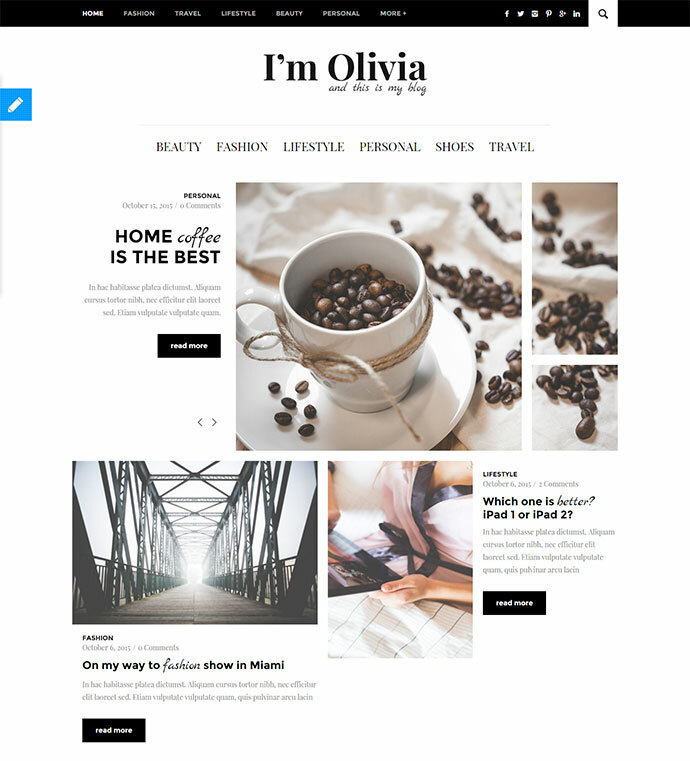 Olivia is a personal blogging black and white WordPress theme which comes with a great design and lots of useful features like visual composer, fully responsive design and on-click theme options etc. It comes with several post type options too. The butter on bread is that it is a very SEO friendly theme. 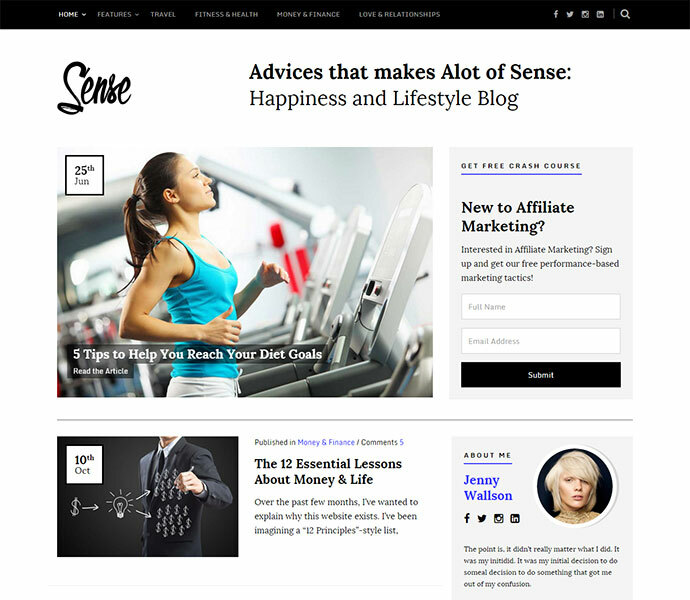 Sense is a clean styled black and white WordPress theme especially designed for food, technology, fashion and travel kind of blogs. Sense is a google adsense ready WordPress theme which means that all you need to do is add the content. 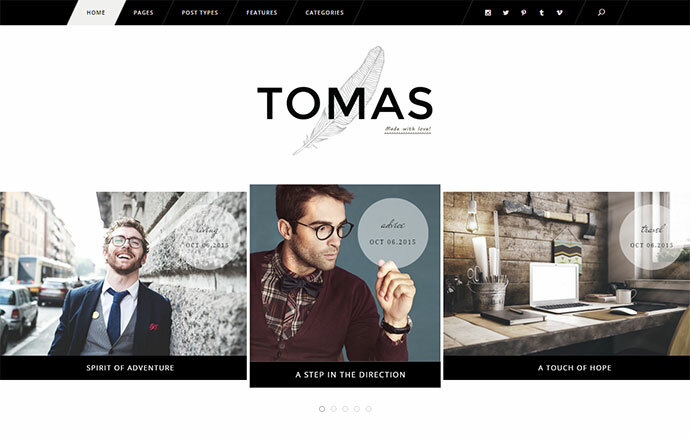 Tomas & Daisy is a personal blog black and white WordPress theme. The list of features is huge and not possible to mention here. So, please check out the demo and check out for yourself. 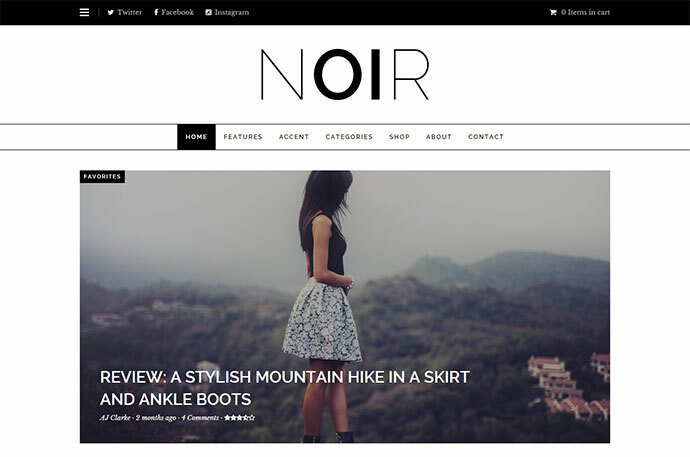 Noir is a black and white WordPress theme for everyone. 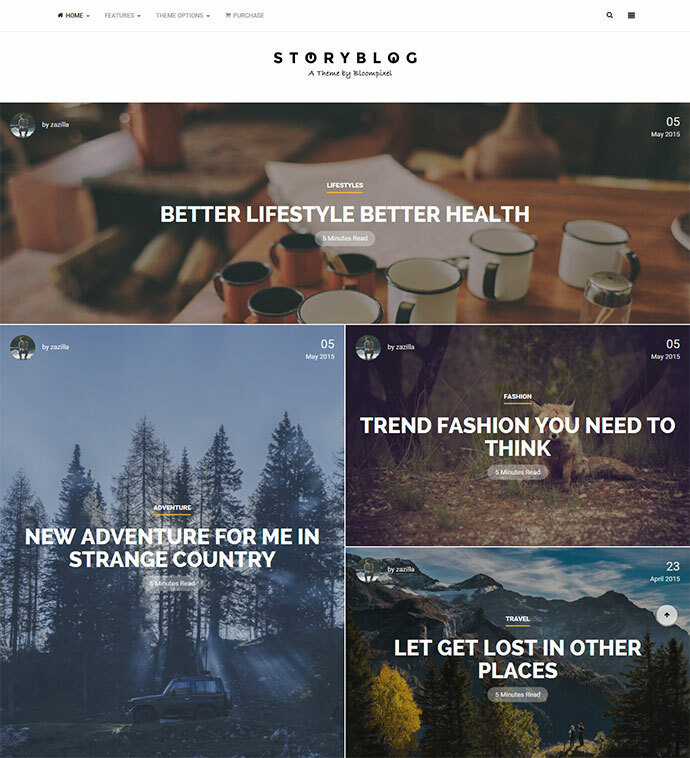 Its a great personal blog theme with some great styling options. It comes with live WordPress theme customizer which allows you to make changes with ease without any need to know the coding at all. 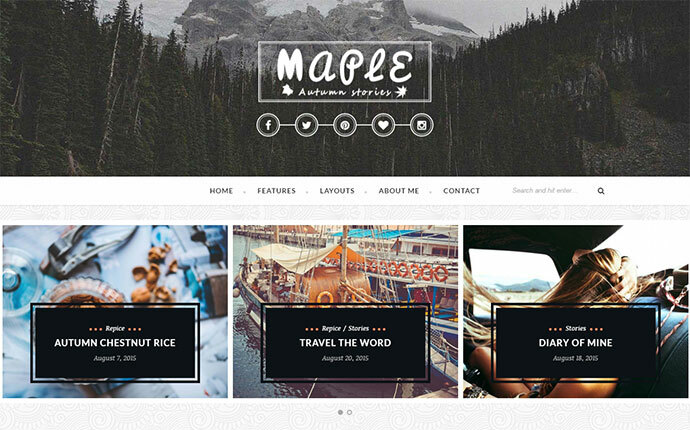 Maple is a simple yet bold, professional and modern black and white WordPress theme for blogs. Its a great theme for sharing stories. Maple has a fully responsive design which makes it easy to view on any kind of device. 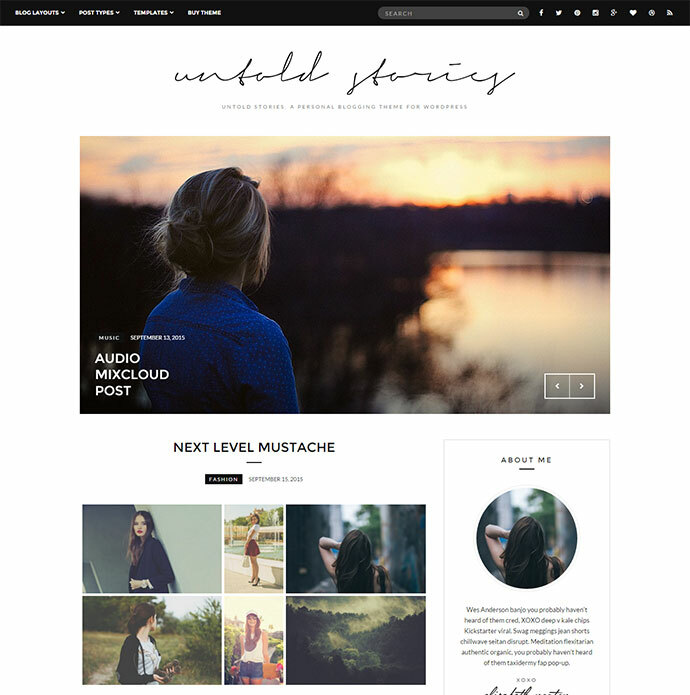 Untold Stories is a carefully crafted black and white WordPress theme for modern bloggers. It gives you complete control over the layout and structure of your blog. It comes with custom widgets for the sidebars, special content styles and social integration. Basically, it gives you over hundred customizer options to play with. 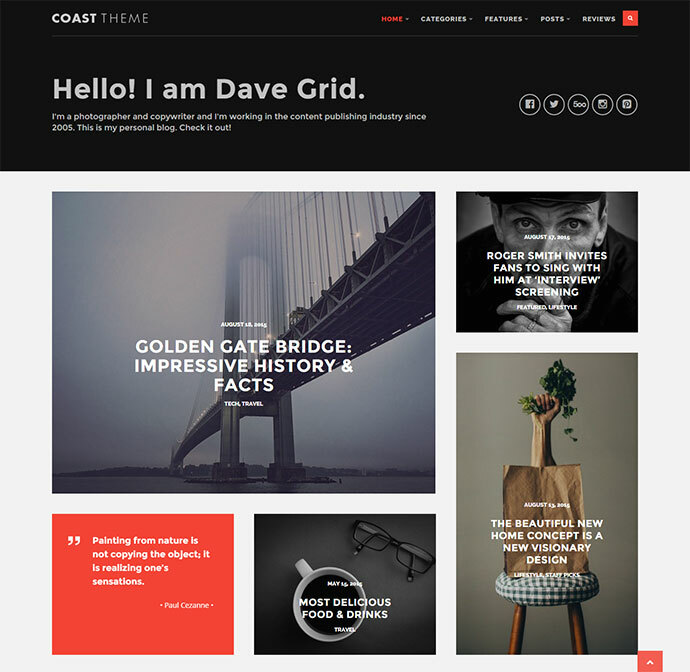 Coast is a modern, elegant and very easy to use black and white WordPress theme with a fully responsive design. It comes with three different homepage layout options; classic, grid and masonry. It also comes with Google webfonts, unlimited color schemes and useful custom widgets. 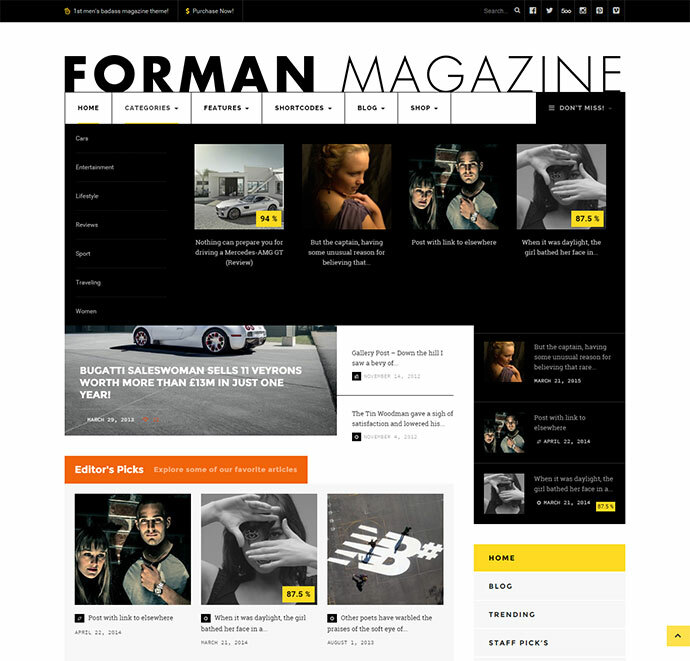 Forman is a bold, clean and easy to use black and white WordPress theme for magazines with a fully responsive and user friendly design. It has been designed for websites with heavy content but can also be used for blogging. Though it has been designed for men’s magazines but can also be used for either personal or professional blogging. 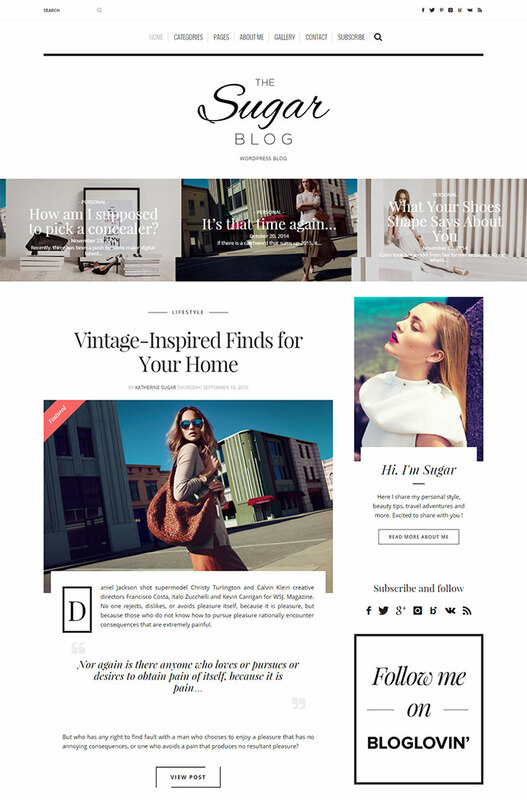 Olimpia is an elegant and clean black and white WordPress theme for personal blogging which has been designed with a lots of love and desire. It comes with ten different homepage layouts to choose from. It will make it very easy for you to share your stories and passion with the world. StoryBlog is a nice black and white WordPress theme which has been specifically designed for story tellers. If you got a story, use StoryBlog to share it with the world. 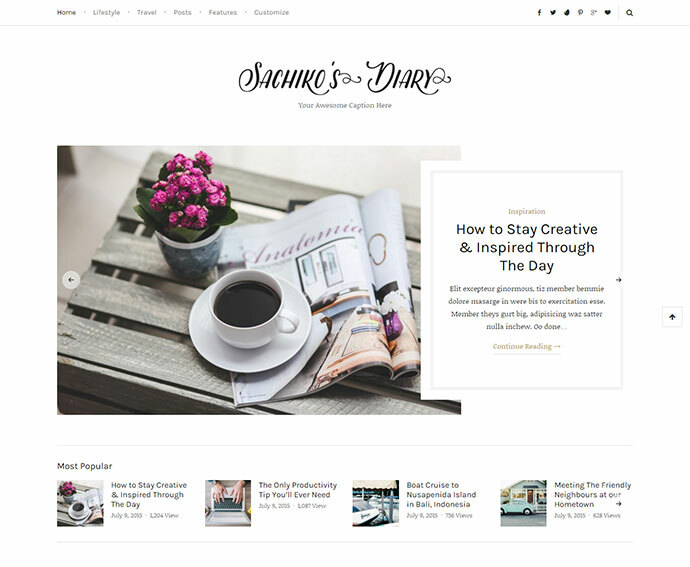 Sachiko is a black and white WordPress theme designed for both passionate and hobby bloggers. It is a great theme to share stuff about life, fashion, travel etc. with the world. Its design is geared more towards elegance, cleanliness and typography which makes it an excellent theme as it will greatly enhance the reading experience of your readers. 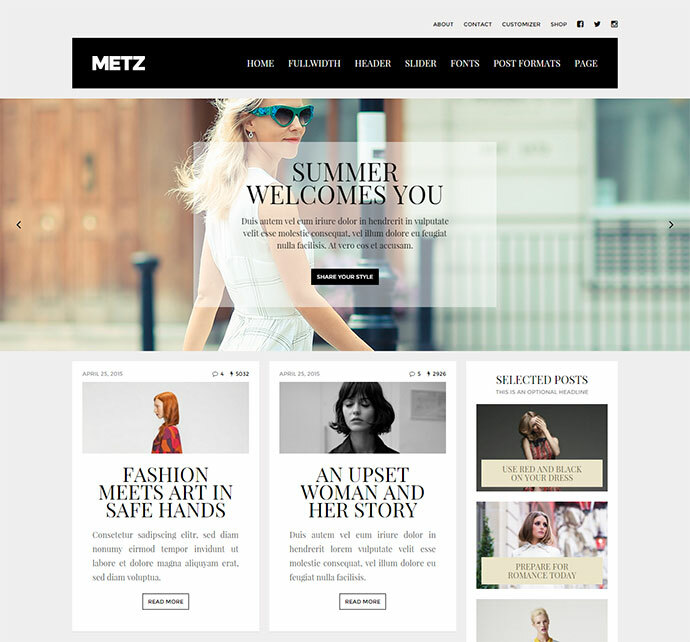 Metz is a flexible black and white WordPress theme with native wordPress customizer. Please check out the demo of this for yourself. 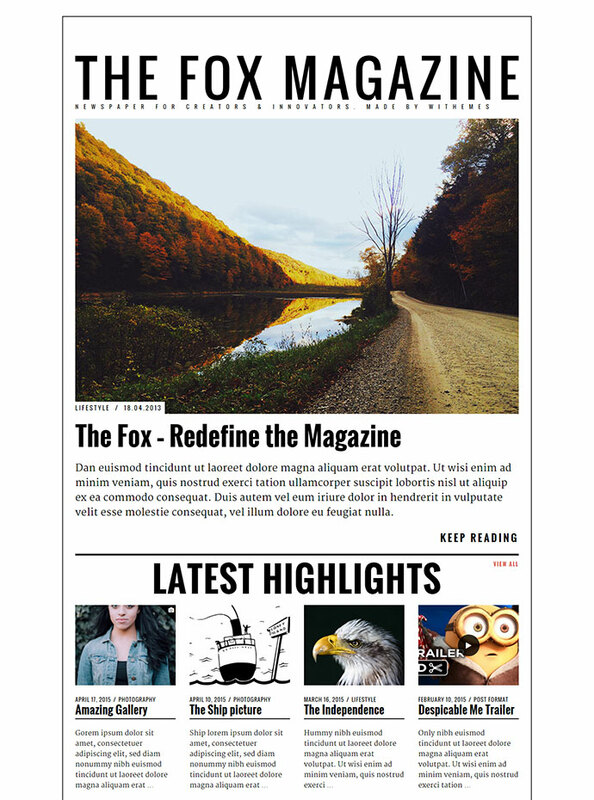 Fox is a contemporary magazine WordPress theme for creators. It comes with some really cool features like in-built social share options, featured posts and much more. The design is really cool and gives you a feel of old style newspaper. 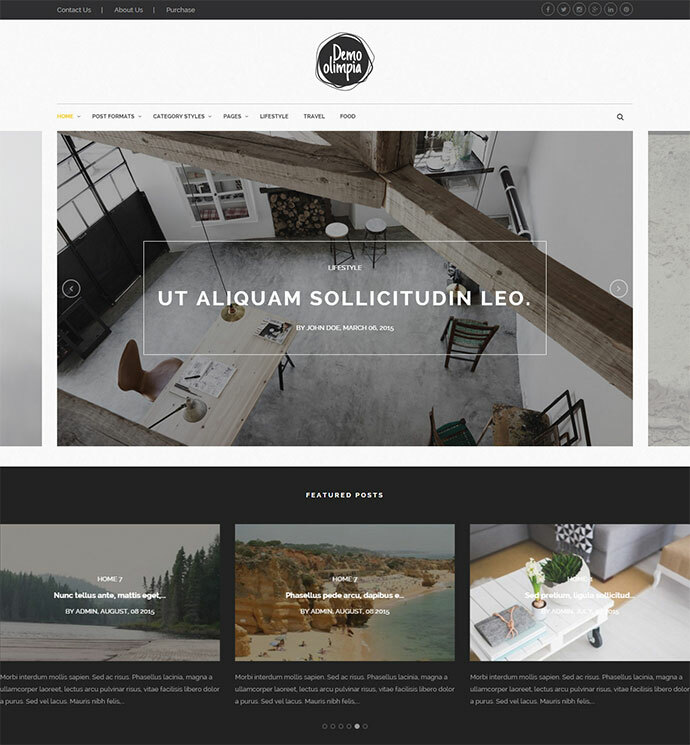 Hideung is a simple and elegant black and white WordPress theme with a responsive design. It is a great option for personal blogging. 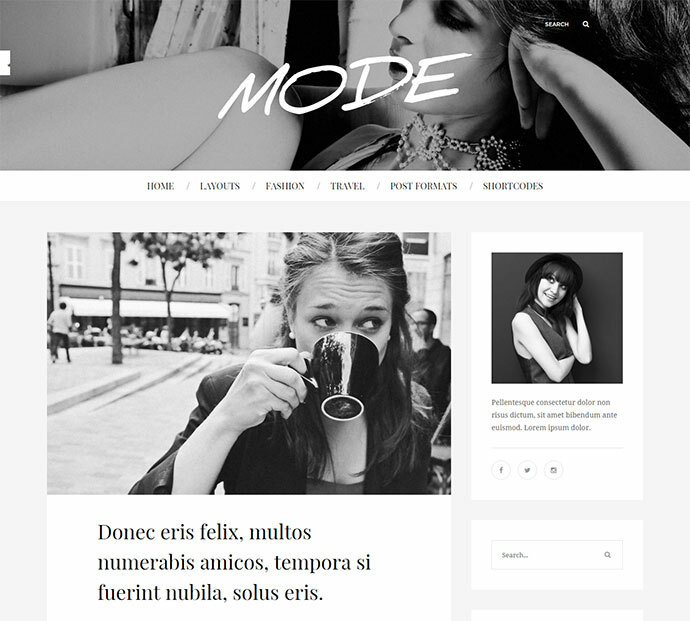 Mode is an extravagant black and white WordPress theme for blogging. Its design has been inspired by the fashion industry. Though its design is more geared towards fashion industry, still it can be used for any niche due to its flexibility. There are eight blog layouts and five header options to choose from. 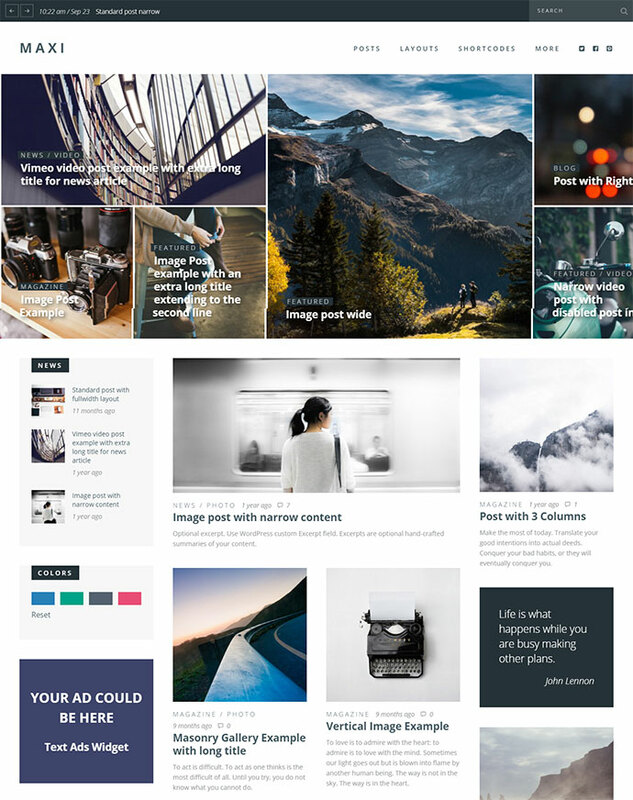 If you are someone who need an easy to use, clean and headache free blog WordPress theme, Mode is for you. 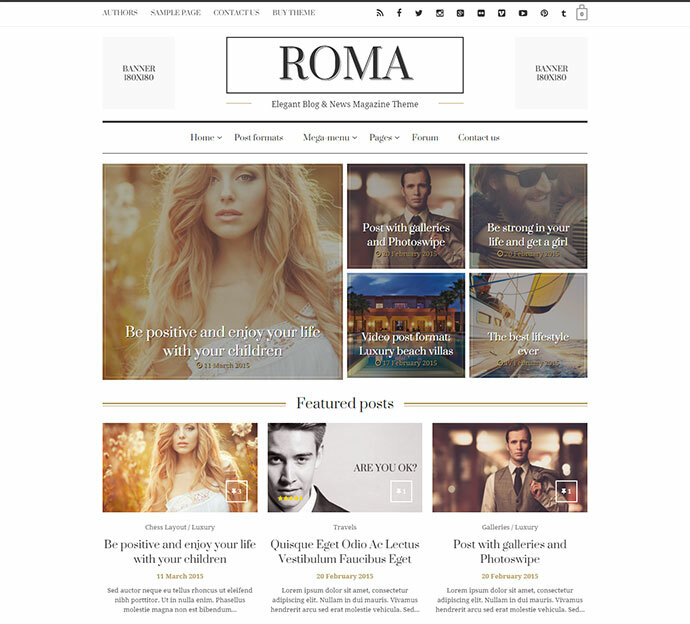 Roma is a black and white WordPress theme with an elegant design. It is suitable for both blogs and magazines or even for any kind of creative business. It has been built upon the responsive Twitter Bootstrap framework and is highly optimized for desktop and mobile platforms. The code has also been optimized for fast loading and SEO. 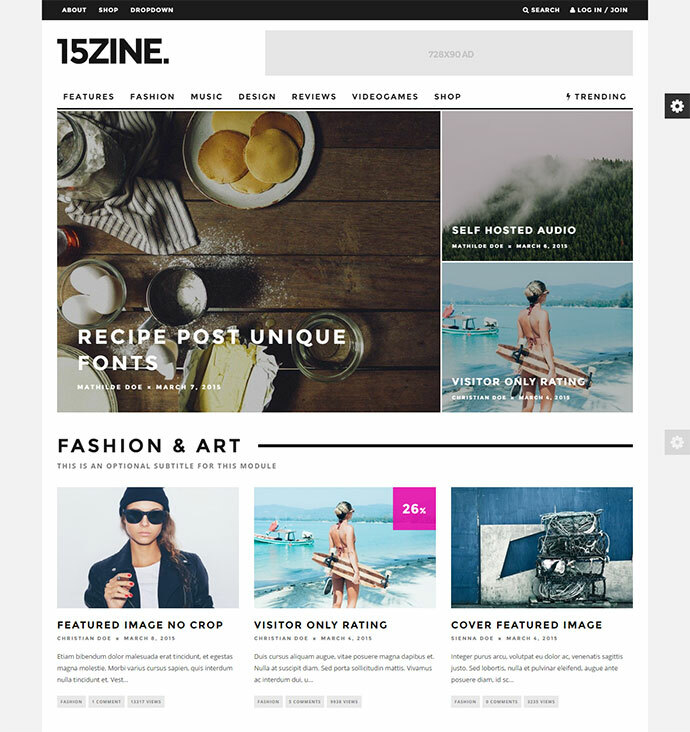 15Zine is a cutting edge black and white WordPress theme for magazines. Its a versatile theme with an integrated review system which makes it a powerful review theme too. It is also compatible with bbPress and WooCommerce. 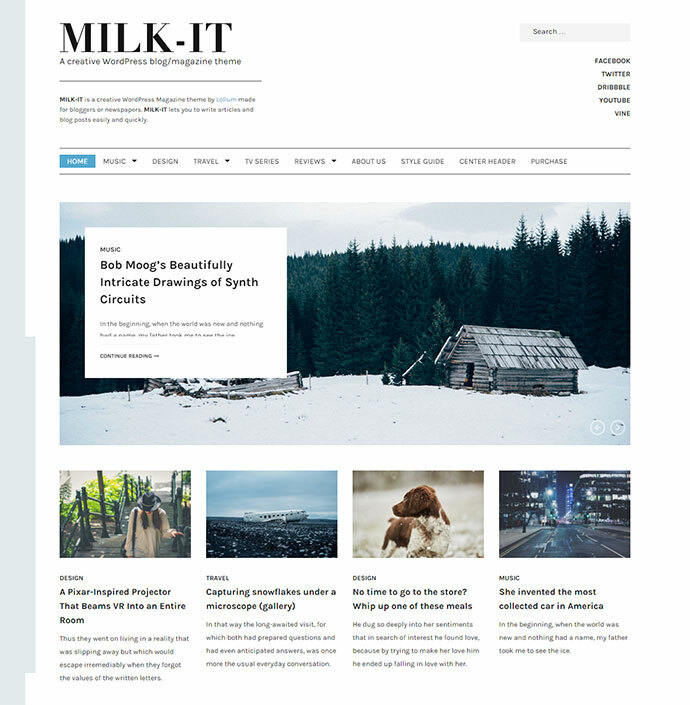 Milk-It is a creative black and white WordPress theme designed for both blogs and magazines. It can also be used as a pure review site. It lets you write posts and articles easily.